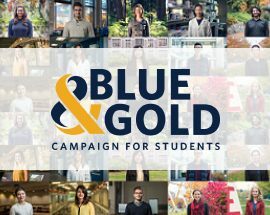 There are a number of different awards available for you to create, allowing UBC students the opportunity to realize their dreams, contribute to society, and go out into the world equipped to make a difference. Many awards are established in honour or in memory of a family member, friend, or colleague, and can be a fitting way to recognize the accomplishments of someone who has touched your life. Awards in the form of scholarships, bursaries, fellowships, prizes and service awards enable students to reach higher, lead, and contribute while achieving their academic goals.